Hey guys! 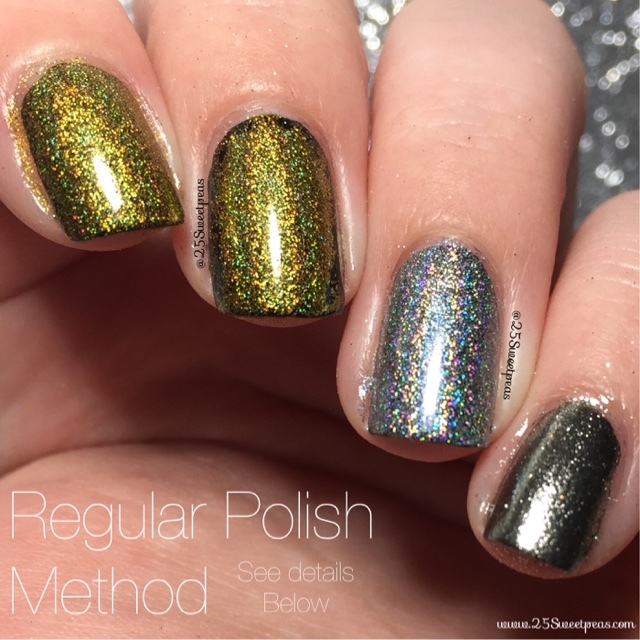 Today's post I have the last pigment I will be reviewing at the moment and then I will share some results of some more experiments of these pigments with regular polish! I will tell you now I have found a way for these holo ones for sure so stay tuned!! Now on to the experiments! So here I decided to use regular polish, with all different top coats. The black is Serendipity Building my Empire on all of them. 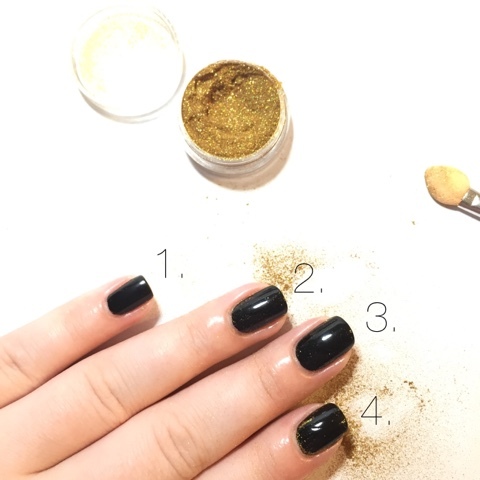 #1 is topped with Seche Vites Top coat, #2 has INM top coat, #3 is Essie's Gel Setter top coat, and #4 has no top coat just polish. All of these I spent a good 5 minutes trying to buff the pigment on but it just didn't work. #5 picked up a little bit around the very edge of the polish but that was about it. So none of these were a good answer. Now for this experiment I used the same Serendipity black as I used in Experiment 1 and let that dry. After that was dried I put INM base coat on top of it. Now yes it's a base coat, but it's not going to hurt to use it on top. :) Now this one specifically worked because it is what you call a sticky or tacky base coat. I thought about using it after realizing the really only difference with using get texture wise is that after you put on a gel it has a sticky layer until you wipe it clean. So I thought well if the regular polish has a sticky layer on top maybe the pigment would work and what do ya know?! It did!! Now my middle finger looks a bit messy because it was my first "test" nail and I did get the stick base coat everywhere plus I smudged the corner. So I then did another gold one next to it so I could see if it did work, and it did. 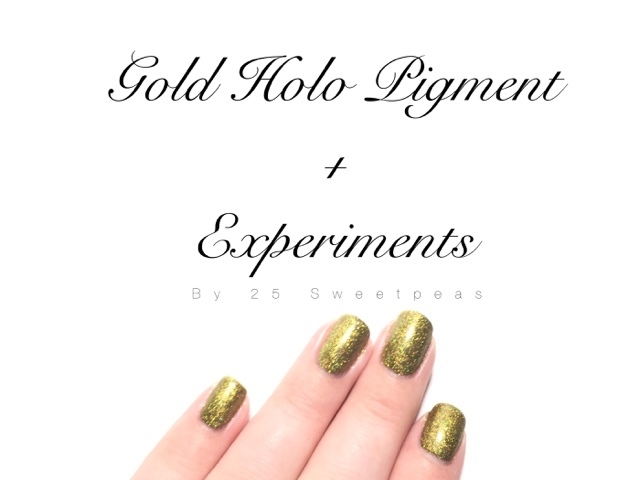 I wanted to check it with all of the pigments I've been testing and so I did the holo in the mirror. All of which worked! Now in the photo below they all are topped with INM top coat and that's how come the mirror one does "pixelate". The rest however were perfectly fine. To me that tells you, that you can do this with out gel polishes you just need a stick coat on top of your color! Also I believe the chrome one you can actually keep mirror like. From what I've heard, you can use a water based top coat on it and it won't mess up the mirror effect. Which is fabulous! I just don't have. A water based top so I couldn't try it for ya. 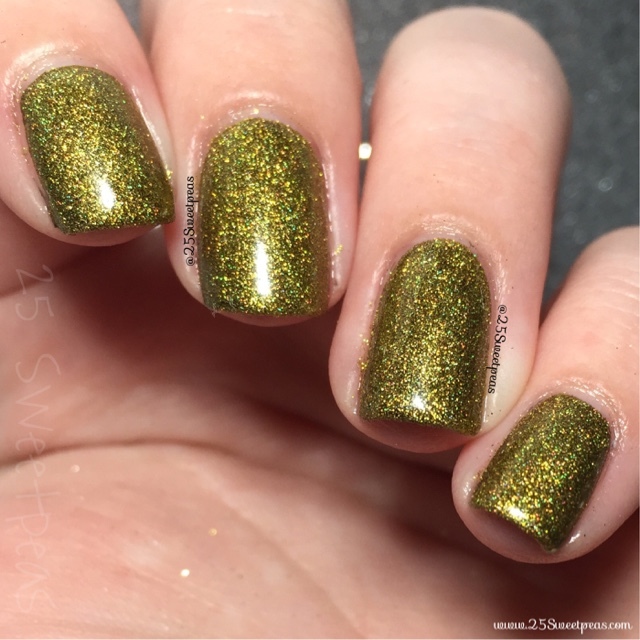 I am surprised happy I got it to work with regular polish. I am not a gel fan so to find an alternative, because wi know there are others who don't like gel. Well that's it for this post! Hope you have found it helpful! If you have any questions let me know below and I will get back with you! :) Hope you have a wonderful day!